Honeycomb kitchen Choose a neutral color for your kitchen’s honeycomb shades or coordinate with appliances and/or accessories. 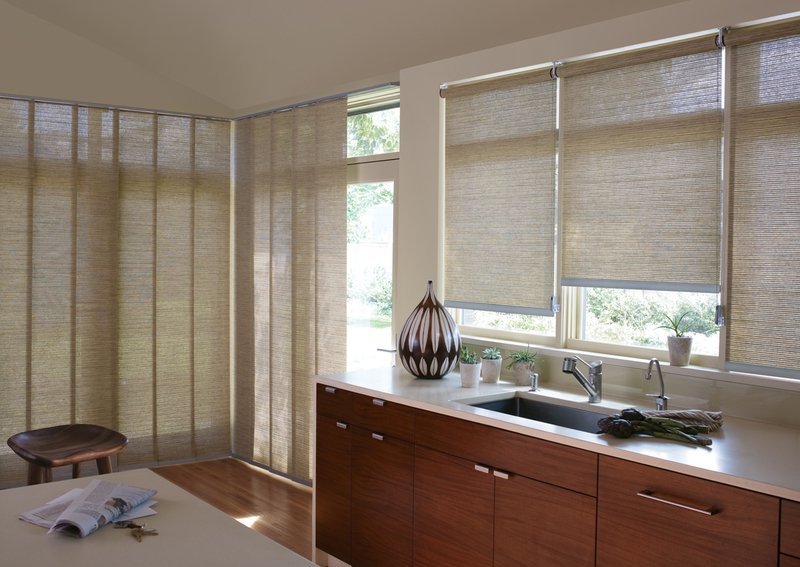 Either way, these window treatments are as beautiful in their simplicity as they are functional. 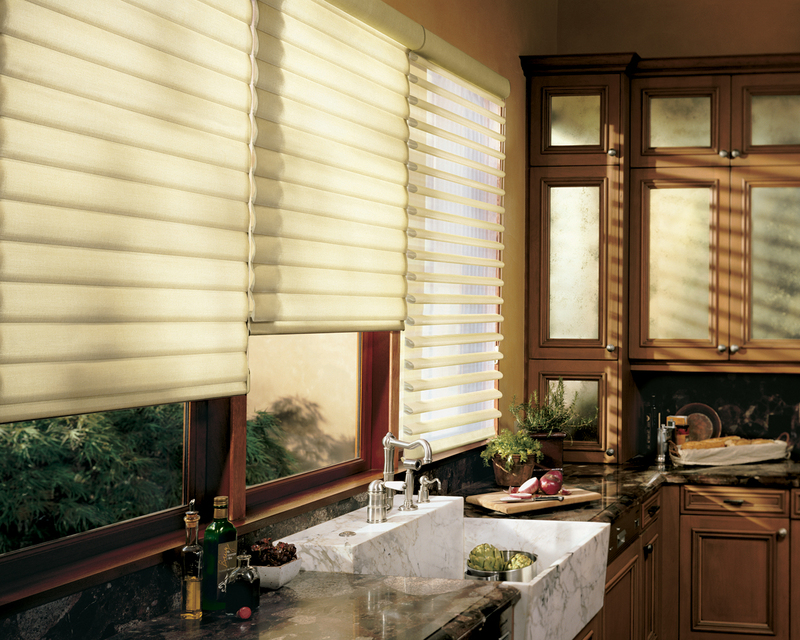 And you can add options such as motorized operation and low profile rails to make your kitchen shades even more desirable. 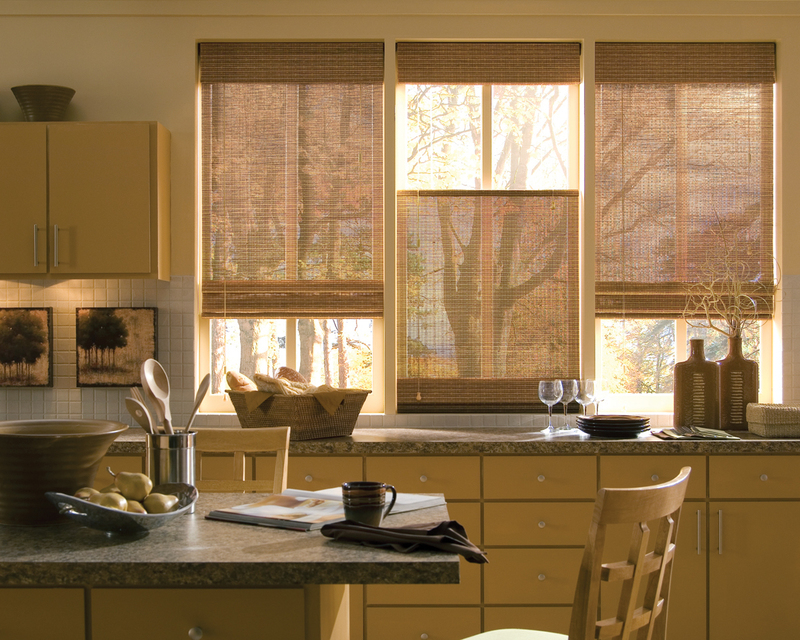 Pirouettes shades kitchen These neutral colored pirouette shades go well with any color scheme or wood tone. Enjoy softly filtered sunlight or open them wide for natural light and a view. Open or closed, enough light will be supplied to allow you to prep the ingredients for your amazing dinner party in style. 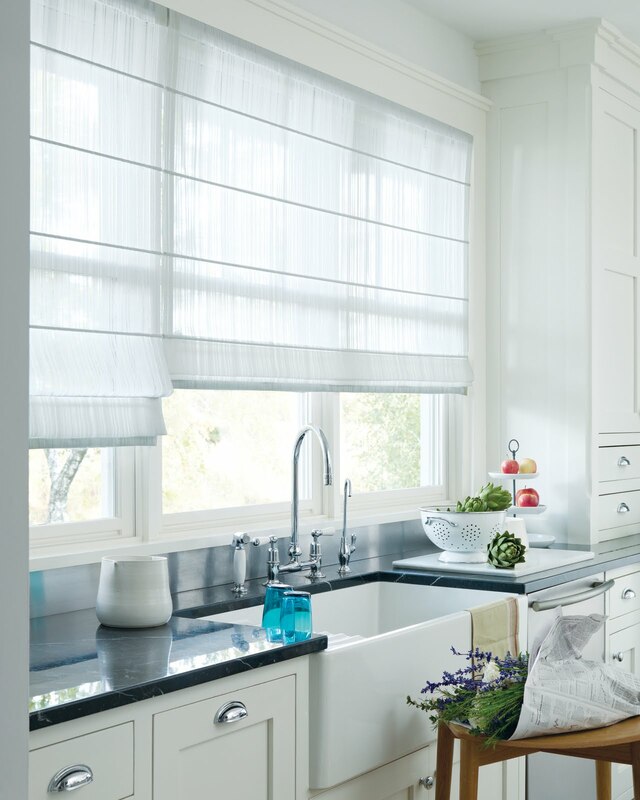 Roman shades kitchen White is all right when it comes to this fresh, crisp kitchen design with sheer and elegant Roman shades. Match all of your color choices, as seen here, or mix, match, and coordinate with multiple colors and accessories. 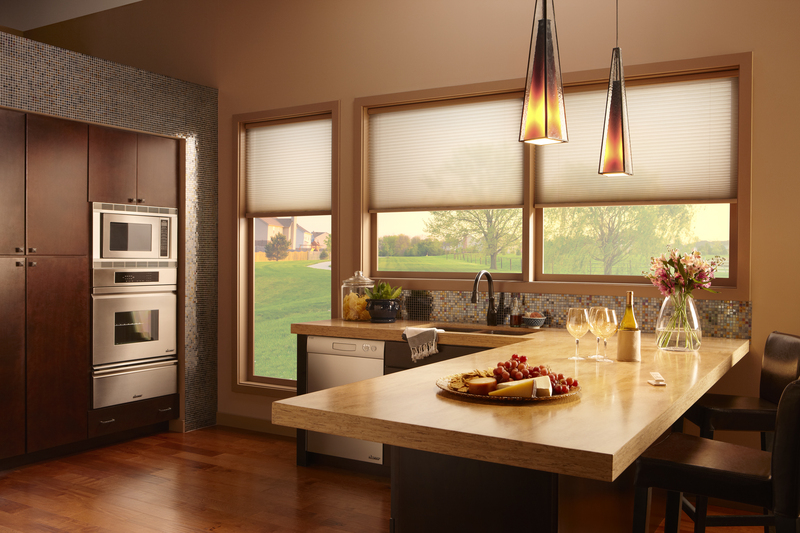 Choose either full natural sunlight or soft filtered light by which to concoct your culinary creations. Skyline gliding window panels kitchen Whether used on full length or half length windows, these skyline-gliding panels are the ideal window treatment for any kitchen, with or without a dining area. In this particular application, the neutral color goes well with both the light counter top and the wood tones of the floor, stool, and cabinets. 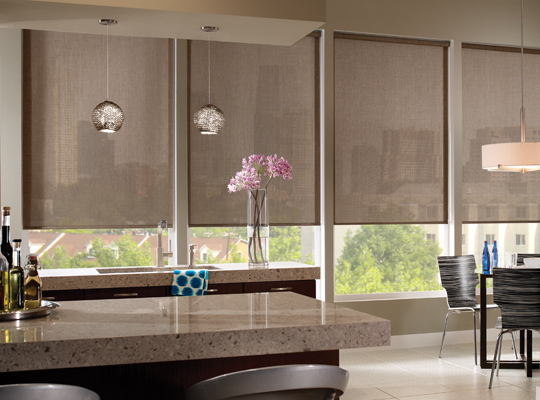 Solar shades kitchen2.jpg These ultra chic solar shades block glare without sacrificing the outside view. The last year has seen the popularity of these window treatments skyrocket. And it’s no wonder considering their simple yet elegant design. The ideal way to protect your dining set and floors from the hot, drying UV rays of the sun. 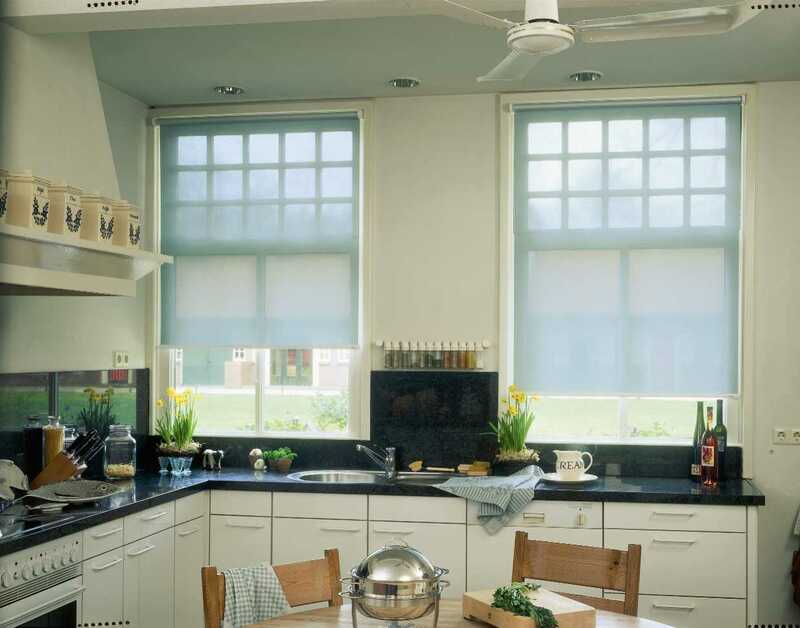 Solar shades kitchen.jpg These white but sheer solar shades are a hot item in kitchen design thanks, in part, to their partially see-through but light filtering qualities. They are simple but classy and, in this particular setting, show off a unique window design. Match shade colors with cabinets or accent contrasting colors with shades and accessories. Valance top treatment kitchen This kitchen is decorated with Austrian shades with valance top treatment and jabots that accent the warm colors in the wood tones of the cabinetry, seat cushions, and the granite counter top. The look here is markedly transitional thanks to a mix of traditional chair backs and cabinet doors, and the modern style ceiling fixture. Vignette modern Roman shades kitchen These beautifully crafted vignette modern Roman shades roll up into a moveable head rail. Assure privacy while still letting in full outdoor light from the top or close the shades for softer, filtered lighting. Light-colored shades contrast the wood tones of this particular kitchen. Customize your shades to best complement your color scheme. 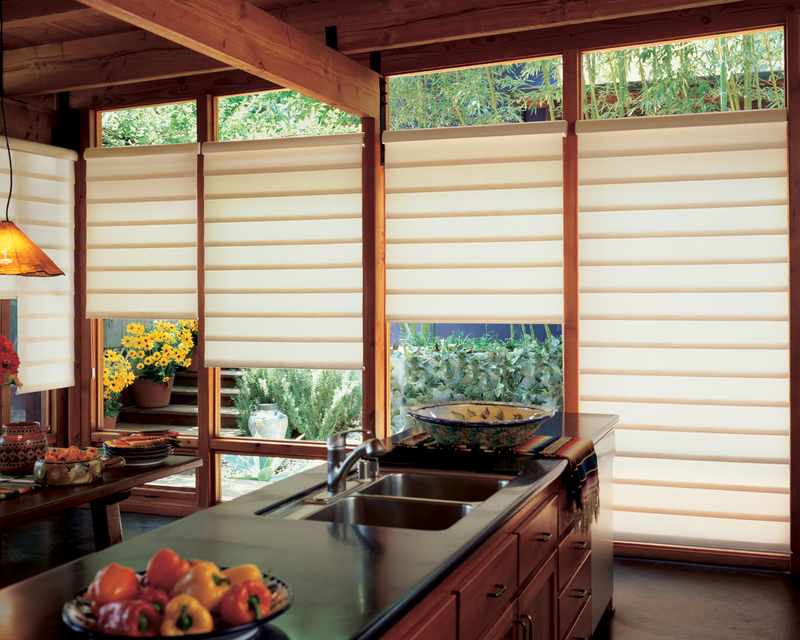 Woven wood shades kitchen Handpicked, eco-friendly reeds, bamboo, and grasses are woven into a partially see-through wood shade that raises up, lowers down, or both simultaneously. 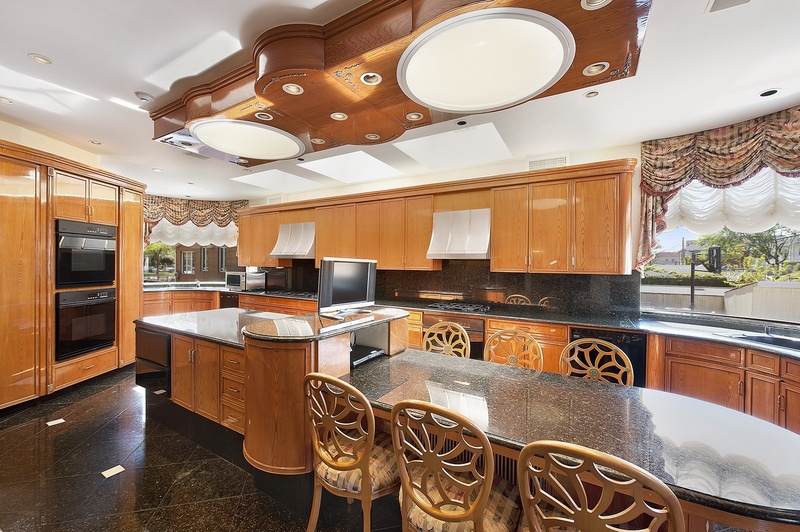 The tans and yellows in this kitchen can be replaced by a mix and match decor with the aid of colored accessories coupled with window treatments in brown, tan, or lighter natural shades.